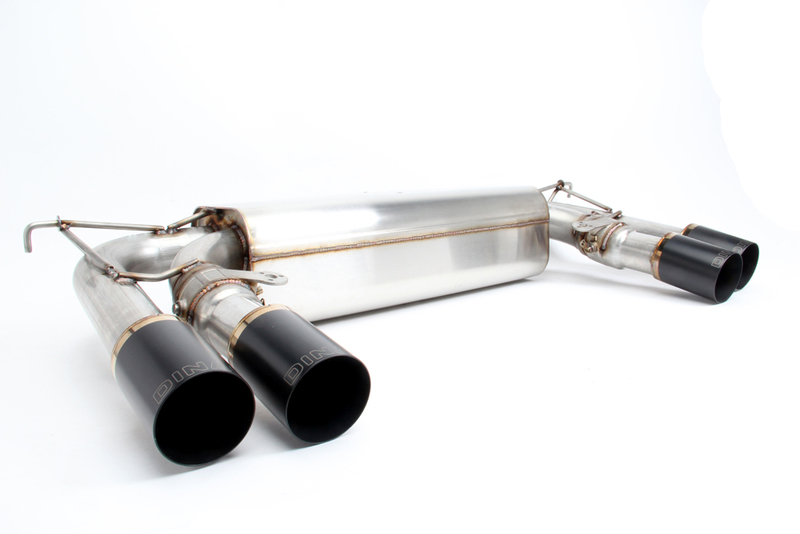 This Free Flow Exhaust by Dinan provides maximum flow characteristics to ensure great power gains. 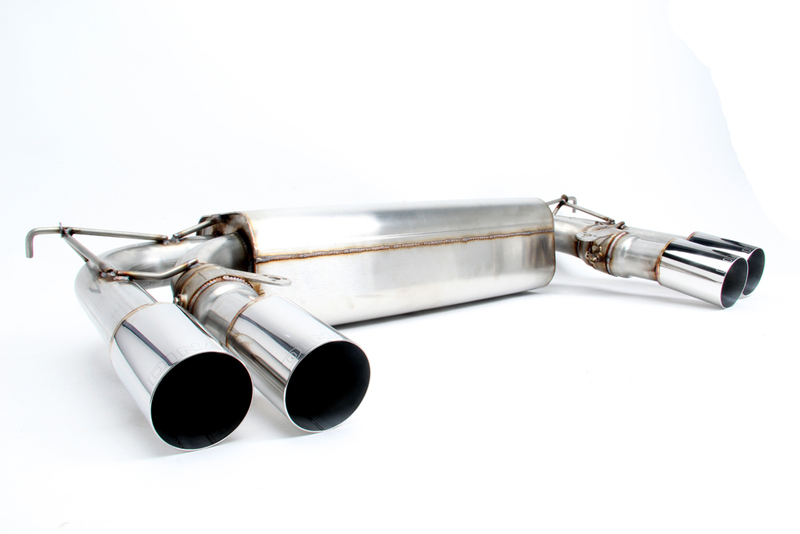 This specific exhaust has an approximate 8hp / 7tq gain. This is the perfect product for you if you are looking for a civilized, yet sporty exhaust system at wide open throttle, with no low rpm "drone" that bugs so many people. It is made out of 100% 304 stainless steel for corrosion resistance. This system features four 3.5" tips, available in black which is perfect for an aggressive look, or polished, which is super classy.